Back in August iMore reported that Apple was planning to update all current iOS devices to the new Lightning connector. That included the new iPad (iPad 3) that went on sale last March. Today MacRumors reported a developer had started seeing iPad 3,6 show in his or her app analytics, and what's more, it appeared to be running an iPhone 5-class, ARM v7s-based, Apple A6 custom system-on-a-chip. Because the iPad 3 was only launched in March, my guess remains that Apple won't make a big deal out of it so as not to cause any negative push-back from original iPad 3 customers. If anything, it'll simply be announced as the same iPad with the updated connector, for anyone who wants such a thing. Apple has performed minor internal updates on devices before, and even released an original iPhone with a higher storage option mid-cycle in 2008. 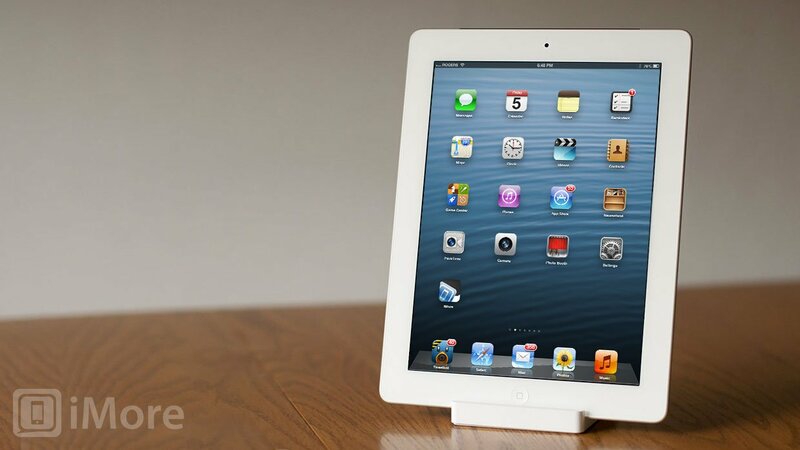 It's our understanding that Apple has the revised iPad 3 ready to go. In previous years, however, iMore and others have heard about Apple preparing new iPads before the holidays, only to have them ultimately hold back until the traditional spring launch window. For major new features like Retina display, and given the market, that made sense. Apple could easily sell a Lightning connector (plus) iPad 3 revision now, and still keep an iPad 4 on the product roadmap for 2013. If Apple does choose to launch the revised iPad 3 this fall, it should be alongside the new iPad mini, which as of the iPhone 5-launch was still scheduled for an October debut and a $200 - $250 starting price point.